Following on from last month's Deal Watch, which included four transactions of over $1bn, March looks rather subdued in terms of deal values. On the last day of the month Johnson & Johnson (J&J) agreed to accept the $4bn offer from The Carlyle Group, which was originally announced in January, to acquire its Ortho-Clinical Diagnostics business. The transaction is expected to close towards the middle of the year. The March deals with financial details disclosed summarised in this month's Deal Watch combine a rather mixed bag of early stage drug discovery collaborations, clinical stage and approved product licences and divestments, and company and product acquisitions. We also note some less frequent transaction types: a co-promotion agreement and buy back of rights from a deal signed some time ago. It is also interesting to see press announcements covering the payment of milestones, which is always valuable information for benchmarking deal terms. A broad range of therapeutic areas is represented in this month's deal table including oncology, immune-related diseases, dermatology, ophthalmology, gastroenterology and respiratory. 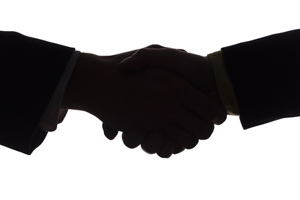 Two of the largest deals announced this month focus on immune checkpoint modulator research. Many pharma and biotech companies are now investing in this area for the development of novel therapeutics and combinations of therapies in the treatment of cancer. Based on the activities we covered in last month's Deal Watch, this is certainly becoming a hot topic. The first of these deals was between recently floated Five Prime Therapeutics and Bristol-Myers Squibb (BMS) under which the companies will collaborate to discover, develop and commercialise immuno-oncology therapies. BMS is paying $20m upfront and will commit up to $9.5m in research funding to access Five Prime's proprietary protein discovery platform to develop immuno-oncology therapies against targets identified in two undisclosed immune checkpoint pathways. This transaction has a familiar discovery deal structure: BMS will obtain exclusive, worldwide rights to develop and commercialise the new therapeutics generated and is purchasing 4.9 per cent of Five Prime common stock at approximately a 30 per cent premium for around $21m. In addition, Five Prime could receive up to $300m in future development, regulatory and sales-based milestones per collaboration target, as well as tiered mid-single-digit rising to low-double-digit royalties on net sales of each product sold by BMS. The second deal, the $341m discovery transaction between AnaptysBio and Tesaro, is focused on the development of antibodies that activate immune checkpoints disabled by various cancers. The collaboration is targeting three checkpoint molecules: PD-1 (programmed death receptor-1), LAG-3 (Lymphocyte Activation Gene-3) and TIM-3 (T cell Immunoglobulin and Mucin protein-3). In addition to $17m upfront, AnaptysBio will receive clinical milestones of $18m per drug candidate in each programme and up to $90m in regulatory milestones per programme. Royalties on sales will be in the single digit range. There continues to be M&A activity in the industry although not quite at the values we have seen in previous months. US-based Horizon Pharma's acquisition of Irish-based Vidara Therapeutics via a reverse merger for cash and stock comes in at $660m. The shareholders of Vidara will retain approximately 26 per cent of the new company and receive around $200m in cash. The NewCo will be called Horizon Pharma plc and will be an Irish company to take advantage of the lower corporate tax rates in Ireland. This follows on from several other acquisitions of Irish entities, which result in US companies paying Irish corporation tax, eg the acquisition by Perrigo of Elan and Actavis' acquisition of Warner Chilcott last year. With its sight set on becoming a profitable specialty pharmaceutical company, the new Horizon will have a portfolio of four products marketed primarily in the US, three from Horizon and one from Vidara. Horizon's arthritis and anti-inflammatory products are novel formulations/combinations of established drugs: Duexis (ibuprofen and famotidine), Vimovo (naproxen and esomeprazole) and Rayos/Lodotra (delayed release prednisone). Vidara brings Actimmune (interferon gamma-1b) for the treatment of chronic granulomatous disease (CGD) and severe, malignant osteopetrosis (SMO). Sales of Actimmune were $58.9m in 2013. Vectura's acquisition of private German company Activaero for $181m in cash and equity brings a smart nebuliser-based technology and three nebuliser device families, in addition to a series of clinical and preclinical stage drug development programmes. The most advanced asset in Activaero's portfolio is Favolir for severe adult asthma, which is in late stage clinical development with an EU regulatory filing anticipated by late 2017. This acquisition expands Vectura's respiratory formulation and device technology offerings which has been focused on dry powder inhaler (DPI) technologies. Galapagos decided to sell its BioFocus and Argenta drug discovery service divisions to Charles River during the month so that it could focus on being an R&D company and use the proceeds for its evolving clinical stage drug pipeline. The overall transaction value was around $185m, comprising an immediate cash consideration of approximately $178m and an earnout of about $7m if revenue targets are achieved 12 months after closing. The purchase price is a multiple of approximately 2 times 2013 sales. Several of the large pharma announced strategic transactions during March. Following on from Abbott's split into two businesses last year, Baxter International announced that it is forming two independent companies: one in biopharmaceuticals and the other in medical products. With 2013 revenues of approximately $6bn, Baxter's biopharmaceuticals business focuses on recombinant and plasma-based proteins to treat haemophilia and other bleeding disorders, and plasma-based therapies to treat immune deficiencies, alpha-1 antitrypsin deficiency, burns and shock, and other chronic and acute blood-related conditions. Baxter's medical products business has annual sales of over $9bn and a portfolio of intravenous solutions and nutritional therapies, drug delivery systems, premixed and other injectable drugs, inhalation anaesthetics and hospital-based biosurgery products. This business combines renal dialysis company Gambro which Baxter recently acquired for $4bn. In plans to strengthen their marketing presence in the Far East, both AstraZeneca (AZ) and GlaxoSmithKline (GSK) have taken full control of units there. AZ completed its acquisition of the remaining shares held in its Japanese unit, AstraZeneca KK, by Sumitomo Chemical for $102m. Turning to the rapidly growing market of Indonesia, GSK is paying $40m to take full control of its consumer health unit by buying out the 30 per cent share held by Sarasvati Venture Capital. Sales from this unit were nearly $84m in 2013, over 3-times sales in 2008. Bayer Healthcare is also making significant investment in the Far East by increasing the production capacity of its Beijing plant via $137.5m of funding to ensure it can meet further demand for its products in China. At the other end of the pharmaceutical development process and focusing on generating new and novel drug leads, AZ has just recently announced an innovative arrangement with the UK's Medical Research Council (MRC). Under the five-year agreement, scientists from the MRC will work closely with AZ's scientists to identify drug targets and screen promising candidates. A joint research facility will be created at AZ's new R&D centre in Cambridge, UK. MRC scientists will have access to AZ's vast compound library and will use high-throughput screening technologies, with the MRC funding up to 15 screening projects per year. AZ will have the first option to enter a negotiation to license any resulting drug discovery programmes relevant to the company's therapeutic areas of interest. If this option is not used, MRC scientists will be free to negotiate with other parties. Turning east again, AZ has also recently announced a research collaboration with Shenzhen University Health Science Center for preclinical research focused on chronic kidney disease (CKD). Kidney disease in China is a significant and growing problem. The numbers are huge: over 112 million people in China suffered from kidney disease in 2010 and this is expected to rise by 20 per cent to more than 135 million by 2025. Sometimes a partnership does not survive in the long term for a variety of reasons; change in a development and commercialisation partner's strategy is one of them. Being able to maintain a good relationship and have all rights returned in a timely manner is very important so that precious development time is not lost. This seems to have been the case with Kythera Biopharmaceuticals and its partner since 2010, Bayer Healthcare's Consumer Care Division. Dating back to August 2010, Kythera entered into a $373m licensing deal with what was Intendis at that time (Bayer HealthCare's dermatology business), for rights to ATX-101 outside the US and Canada. ATX-101 is a proprietary injectable formulation of a synthetic version of deoxycholic acid currently in late stage development for the reduction of submental fat (double chin). Citing a change in strategic focus, Bayer is selling back the rights to ATX-101 to Kythera. Under the buy back provisions, Kythera is paying Bayer $33m in Kythera common stock plus a $51m promissory note, payable no later than 2024. In addition to the equity stake and promissory note, Bayer is also eligible to receive long term sales milestones on annual sales outside North America. In a webcast to coincide with the buy back announcement, Kythera stated that its priority focus is an NDA filing for ATX-101 with the FDA, planned for Q2 this year, and ex-US submissions planned within the next 12 months. The company will review its commercialisation strategy for territories outside North America to establish whether securing an alternative partner is the best approach to generating the best value for ATX-101. Bridget is an associate at Medius Associates.